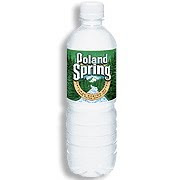 The secret to great skin is not only just about drinking lots of water. You should do a lot more to make sure you have healthy, glowing, blemish free skin. Here are some tips and tricks I've learned during my battle with skin care. 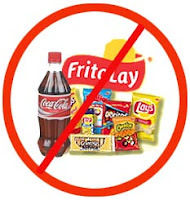 Cut the junk, just say no to chips, soda and candy. Nutrition is the key to healthy skin. Eat lots of fresh foods such as fruits and veggies. You can purchase all the lotions, potions and creams in the world but nothing beats a healthy lifestyle. Fruits such as blueberries, blackberries and strawberries are excellent for the skin. When I was younger or even in college I ate a lot of junk food. Fried food as well, chicken fingers mmmm. My mom would always have homemade cookies waiting for me when I got home. In college, I lived on Wheat Thins! The occasional snack is okay but constantly eating these type of snacks and foods are no bueno. It's much better to snack on fresh fruits, carrots, nuts and veggies. Instead of fried try grilled or baked. Instead of white go for brown. I noticed a drastic change when I decided to limit bad snacks out of my diet. Not only did I lose weight but my skin looked so much better. Your too blessed to have stress, harder said than done, trust me I know. I had a VERY stressful 2009. I made a personal vow not to stress out like I did then because I noticed it was affecting my skin and diet. When I'm stressed I love to eat, I get lazy, I make decision without thinking. Stress can cause blemishes ( at least for me ) and hair loss. I've experience both and they are no fun. I am happy to say that with no stress my hair is doing great (check out my hair post) and my skin as well. Blogging has really helped to take away a lot of stress too. It gives me something alternative to think about and do. Working out helps to get rid of stress (try P90X) and helps maintain your healthy lifestyle. Just like mom said, wash your face! Seriously. We've all done it. You come back from a party, it's late. You don't feel like washing your face or getting into your PJs sometimes. You lay down in your bed and wake up with a sweaty, dirty, oily face. No matter if you wear makeup or not, it's always best to make sure you wash your face. When you live in a city like New York you can't help but walk into a cloud of pollution every day. 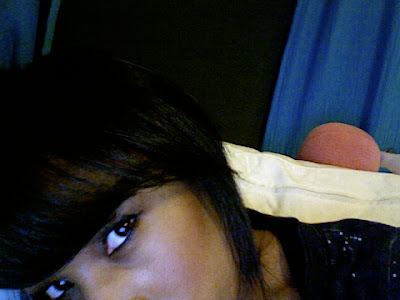 Just imagine all of the nasty things that fill the air sticking on your, now combine that with the makeup you slap on. Now imagine what that can do to your skin. I always make sure to wash my face in the morning and a night. Here are the products I enjoy using. 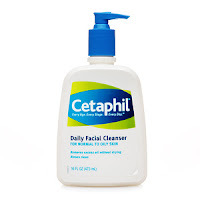 Cetaphil cleanses moisturize and remove dirt without stripping away the natural oils that can keep your skin healthy. This cleanser was recommended to me by my Dermatologist. Although I don't have skin problems now I do occasional still see a Dermatologist to find out ways in which I can keep my skin healthy and clear. Each time I go I learn more and more about how to maintain healthy skin care. 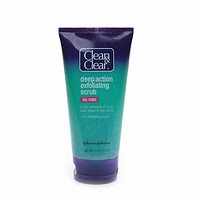 Clean & Clear deep action exfoliating scrub. It's important to wash your face and also important to occasionally use an exfoliating scrub. I don't suggest using this product as your every day cleanser but you should use this occasionally. Cleaners like this one help to get deep down into the pores. 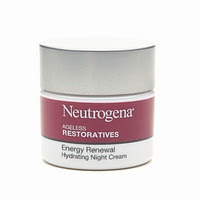 Neutrogena Energy Renewal Hydrating Night Cream. I stole this from my mom the last time i went to Boston. After I wash my face, and slap a little of this own - it feels really good! If you read my Q&A, you read about my sleeping habits. I am a bit of an insomniac. I don't really get enough sleep (which is something you should also do for healthy skin). This product contains Carmitine, which is a nutrient that helps make your skin energized. This cream feels weightless and absorbs quickly into your skin to help keep its moisture. The product will leave the skin softer, smoother and energized - which is perfect for me since I don't get much sleep. So these are all the tips I have for now. 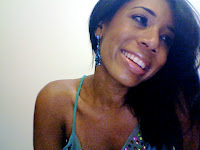 I'll share more in a future post and include some healthy recipes for great skin. Remember, I am not a doctor but these are just a few things I've tried over the last few years to keep my skin healthy and glowing. 5 comments on "Here is the skin(ny) ...."
Great blog post! I use Cetaphil as well! I've tried so many expensive cleansers and nothing works better! I do P90X as well, it's a killer, but it works! Hey girl!!! Thanks for the comment and the follow!! I'm following you!!! U are absolutely GORGEOUS Jonesy!!! Hello, thanks for your visit as well as for comments left. Come back anytime, you're welcome in my blog. Have a nice week! !